A jury in San Francisco awarded more than $80 million to 70-year-old Edwin Hardeman, finding Roundup’s active ingredient, glyphosate, was a substantial factor in causing his non-Hodgkin’s lymphoma. 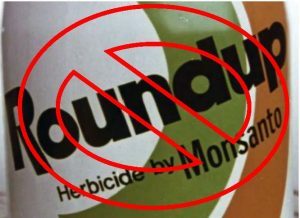 Jurors agreed that Monsanto, owned by Bayer AG, harmed Hardeman by failing to adequately warn of the potential dangers of using the glyphosate-based weedkiller. This is not the first jury to find against Roundup. In March, 2018, a jury awarded Dewayne Lee Johnson, a former groundskeeper who regularly handled Roundup, $289 million in his case against Monsanto. The court later reduced the verdict to $78 million. Both verdicts agree with scientific evidence and the World Health Organization that glyphosate causes cancer. In March, 2017, the judge in the case unsealed some of documents that show how Monsanto methodically worked to discredit scientists and research. A New York Times article reported that Monsanto persuaded the Environmental Protection Agency on its review of glyphosate and ghostwrote articles that pretended to be authored by scientists not associated with Monsanto. Glyphosate is the most used weedkiller in the world. Even consumers who are not groundskeepers or farm workers are being exposed to glyphosate through the food we eat. An independent group, the Environmental Working Group, found glyphosate in nearly every sample of popular oat-based cereals and other oat-based food marketed to children including cereals and breakfast bars made by General Mills and Quaker. Bayer AG bought Monsanto last year and is now responsible for over 11,000 claims alleging that glyphosate causes cancer. We are pursuing Roundup cases on behalf of a number of victims with similar diagnoses of lymphoma. At Terrell Hogan, we represent the injured as they seek justice. Whether it’s dangerous and defective products, drugs or medical devices, the lawsuits we have pursued have prompted safety changes. However, that came after the incidents, accidents and injuries happened. 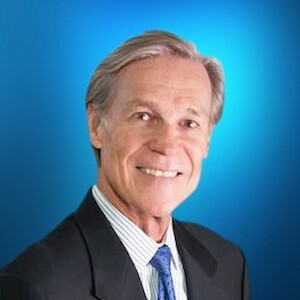 We believe it is important to try to help prevent injuries and wrongful deaths. If you or a loved one has been diagnosed with non-Hodgkin’s lymphoma that may be caused by exposure to Roundup, consider contacting us for a free case evaluation.